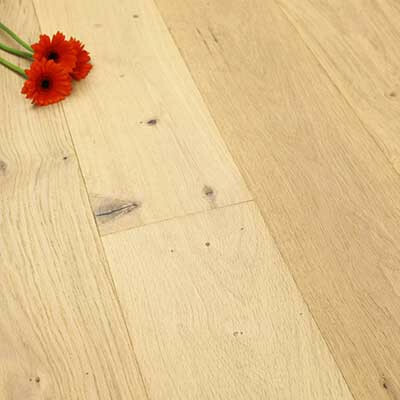 White coloured engineered wood flooring usually means that the species of wood is either naturally very pale in colour or it has had a white stain or colour tint added to highlight the grain pattern and accentuate its natural beauty. A white coloured floor is a perfect choice if you have a small, cosy or dark space, as it will help to brighten it up, whilst adding character and charm. Why should I choose white coloured hardwood flooring? A light or white coloured floor is extremely good at making any room or space look larger than it actually is. With its pale tones it helps to create a bright and airy atmosphere. A white floor is also excellent if you have an existing dark interior and you want to brighten up your room. Choosing one of these floors will create an amazing contrast to a dark room. 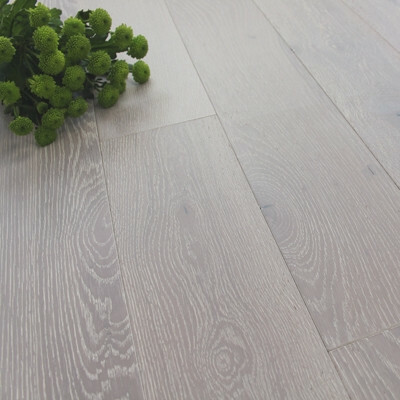 Within our range of light and white coloured engineered wood floors, we have a few different surface finishes to choose from and a choice of different plank lengths and widths. There is either click fitting to make installation quick and easy, or we have the more traditional tongue and groove flooring. 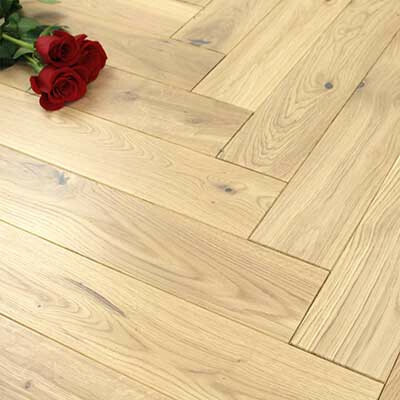 There are also some beautiful parquet block floors that are a fantastic choice if you want a statement floor that will stand out but still look naturally elegant. Another advantage of a white or pale coloured floor is that it does not tent to show the dirt and dust as much as a darker flooring. All hardwood floors are easy to clean by following a simple cleaning routine of daily sweeping with a soft brush and regular cleaning with a wooden floor cleaning spray and mop. Why not take a look through our Maintenance and Care Guide for further tips on keeping your floor looking its best, and how to prevent unwanted damage to your hardwood floor. Yes, we have matching solid Oak flooring accessories, which are very pale in colour so can be matched your choice of flooring. We stock everything that you should need to add the finishing touches to your room, including: door stops, door bars and thresholds, beading and pipe covers. Alternatively we have MDF accessories and also aluminium flooring accessories if you are looking for something slightly contrasting. 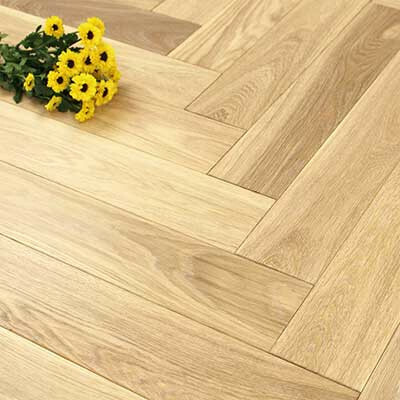 Yes, if you are unsure about what colour flooring to choose, we also have a range of medium coloured engineered flooring and dark coloured engineered flooring, which may be of more interest to you. 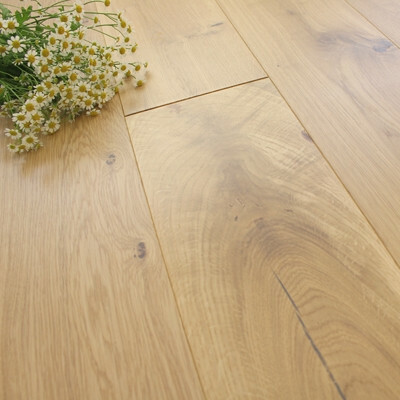 If you are wondering whether or not engineered flooring is the best choice for you, why not have a look at our extensive range of solid wood flooring. If you require any technical advice or support or have any questions about our flooring or flooring accessories, please contact us. Alternatively come in to our showroom where we have all of our hardwood and bamboo floors on display for you to see. If you would like to have a sample of any of our floors, please go to our sample page and order your free samples today.